We do a bunch of boondocking on BLM and Forestry lands and dry camping in National, State and County parks. 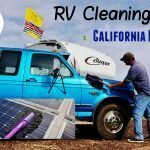 Because of this we often find ourselves without electrical hookups and no way to run our rooftop air conditioner to cool the RV during hot days. We could fire up our two 2000 watt Champion generators paralleled together but that is more of an emergency cooling option and not really practical in the reality. Who would want to be camped next to all the noise and fumes. 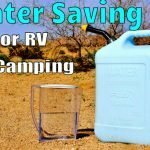 So we have found many tips and tricks for keeping the RV cool with out the regular air conditioner. 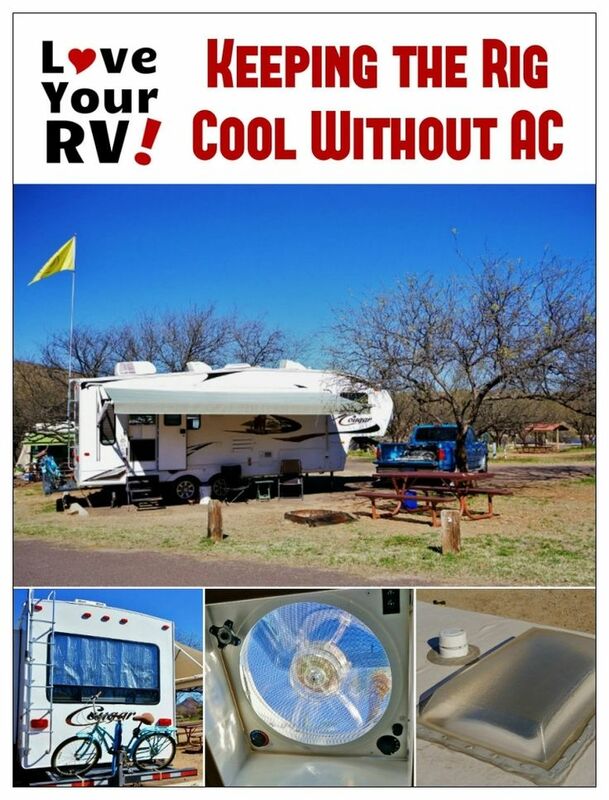 Where and in what direction you park the RV can have a dramatic effect on the sun’s effect on internal temperatures. Setting up beside a nice shady tree is one way to reduce the suns impact. 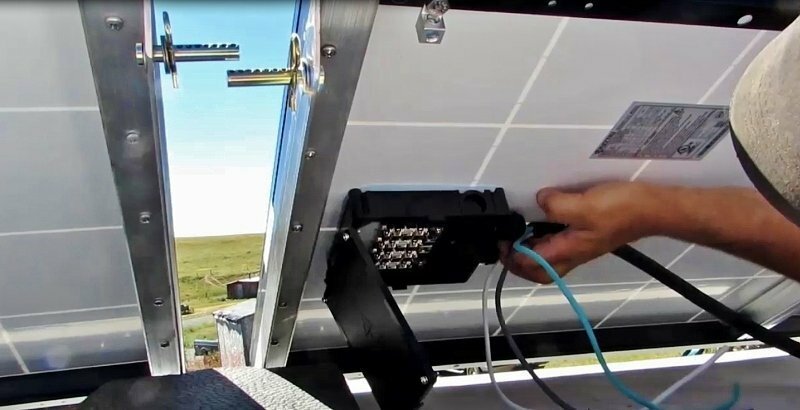 Another is to position the RV so the midday sun is shining on the side of the RV with less window area. On most RVs this seems to be the side with the entrance door. Usually on this side is also a large awning that can be deployed to give further shade to the rig. 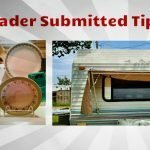 Keep these things in mind when booking a site. You can use a satellite view to check out the available campsites and see which ones are more favorable. In my experience the biggest transfer of heat from the outside comes through our large picture windows. Even though they are double pane and slightly tinted, when the sun shines straight on them the rigs internal temps rise quickly. What I do to combat this is insert some reflective bubble insulation called Reflectix and lower the night shades. This cuts the heat transfer tremendously. Other solutions I’ve seen are to install external window shades or apply a stick-on reflective window film. 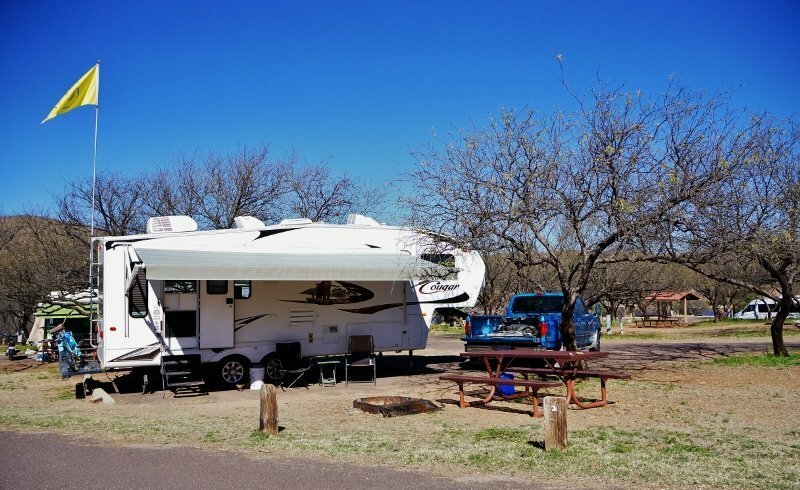 I prefer my method because when camping in cold weather I like to utilize the free solar heat energy the windows provide and the external window shades can be a nuisance when the winds pickup. 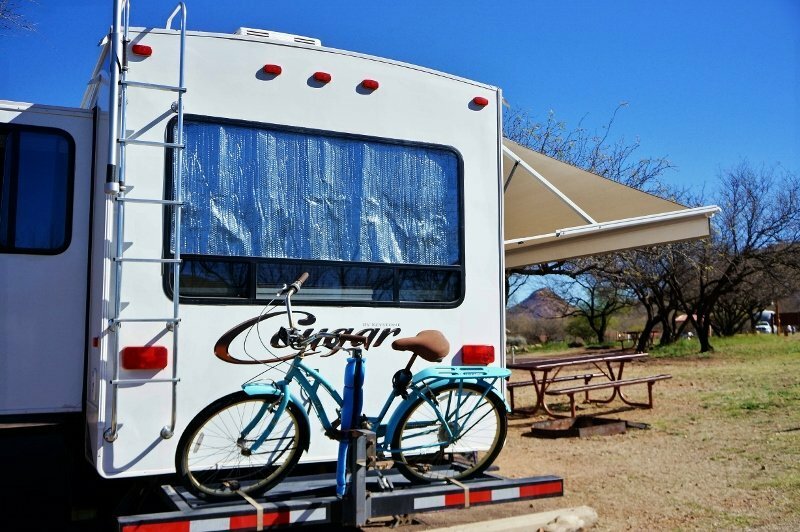 Once you have the RV setup in the optimal way, awnings out and windows covered the next thing is to ventilate the rig. The goal here is to bring in fresh cool air and pump out the warm air. The target is to not have the inside of the rig any warmer than outside ambient air temperature. Close off any windows that are on the warm, sunny side and open up the windows that are on the shady side. I then open up my roof vents to let the warm air out. Warm air rises so hopefully you will get some natural convection happening drawing in the cooler air and pushing out the warmer air. To help out this convention effect you could install some fans. We recently installed a quiet but very high output roof vent fan called a Fan-Tastic Fan. 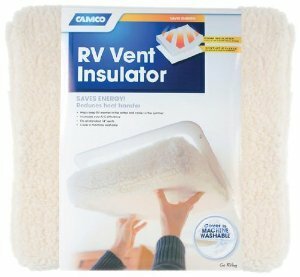 It draws very little power and works like a charm creating a nice cooling breeze in the RV. Once the sun goes down the outside temps begin to cool open up your storage bays and cupboards and try to vent off the built up heat in them before bedtime. 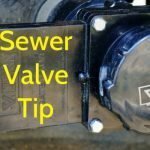 If your rig doesn’t have any, install some attic vents like you see in regular sticks and bricks houses. 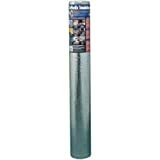 These will help remove excess heat that gets trapped up in the roof. Another area to pay attention to ventilation wise is the refrigerator. 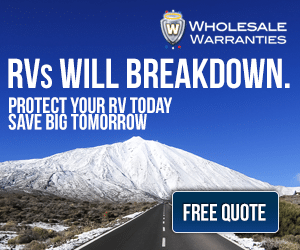 As the fridge cools our food it also creates a lot of heat which can get trapped in the RV. This heat needs to be removed. 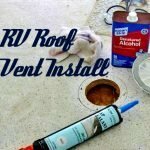 Most units have an external vent in the roof or side of the RV. If you can shade the external fridge panels it will help the fridge run cooler and more efficient. Also a fan in the fridge ventilation area works well to remove all that heat buildup. Our rig came with a small temperature regulated fan in the fridges vent stack and I hear it running on a warm day removing excess heat. I plan to install some extra fans on my roof as well. I’ve seen online a replacement rooftop vent hood with built in solar powered fans that looks like a great idea! I’m amazed how much heat pours through our shower skylight on a sunny day. I’ve heard of some folks painting over the thing to block out the heat. Last summer I took apart the inner covering and place some Reflectix bubble insulation in there and that did a good job of keeping the heat out. Another option is to use Velcro tape and attach a sun block panel when needed. Only caveat is it may be possible to create too much reflected heat back out onto the domed plastic cover and possibly crack it. I guess you could experiment using a infrared heat gun and see how much hotter the external plastic dome gets compared to normal. Carrying a tarp or two when RVing is a good idea for all kinds of things. They can be very useful by providing instant shade. 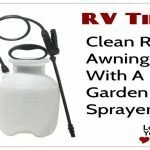 Attach one to the awning, the rig or nearby tree, etc. for extra shade. 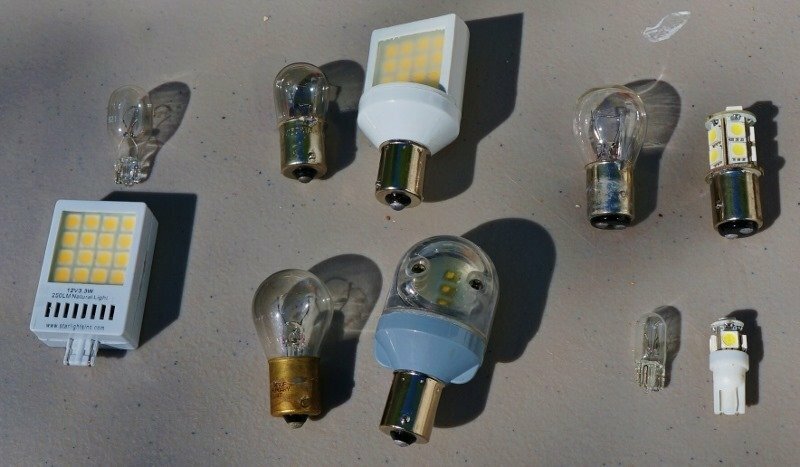 You would be surprised how much heat those little OEM incandescent or halogen lamps put out in the RV compared to LED replacements. While the LED lamps do warm up a little bit, the regular bulbs are like running little heaters. I haven’t tried one in the RV yet but I had a little evaporative cooler when we had a house and it worked great. You just added water and the small fan pushed air through a wet filter and it cooled the air. There are many interesting designs floating around the internet. Looks like an interesting DIY project. Best to try and keep all the cooking heat outdoors. Use the barbecue or camp stove to prepare your meals, coffee and teas. Rather than use the hot RV gas oven, look at cooking a meal outside in a crock pot or Dutch oven.